Our commitment to social, environmental and economic sustainability is captured by our organisational purpose: We provide exemplary water and sanitation services that contribute to the health and wellbeing of current and future generations. We are a signatory to the United Nations Global Compact – the world’s largest corporate sustainability initiative. This commits us to ensuring our strategies and policies align with the compact’s ten principles, which cover human rights, labour, the environment and anti-corruption. It also commits us to advancing the Sustainable Development Goals (SDGs), and to reporting on our progress. Our report, Planet, People, Prosperity, sets out the practical actions we’re taking to progress the principles of the compact and measures our success. We are committed to the SDGs. This is a set of 17 global goals describing what a prosperous yet sustainable world looks like. We are contributing to the SDGs through every aspect of our business, from human resources and procurement processes, to customers experiencing vulnerability, to where we source our energy. In 2016, our Managing Director, Pat McCafferty, signed a public CEO Statement of Support these goals along with over thirty other leaders in the Australian business community. We have measured our performance against the SDGs to understand our contribution to a sustainable future, and to identify where we can do more. 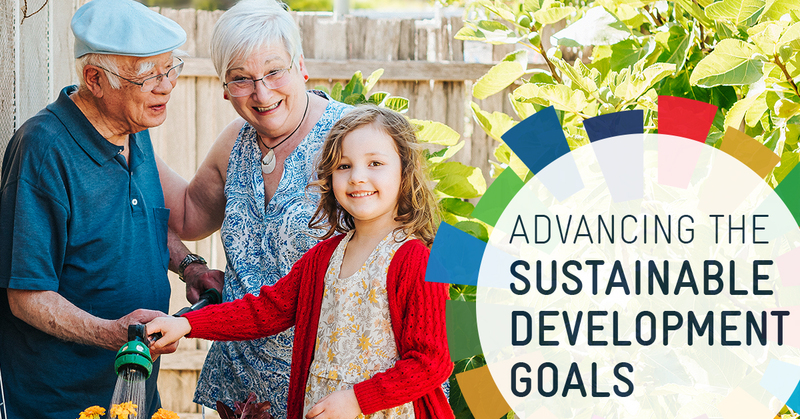 Read about our commitment to the SDGs in our 2018 SDG Report, Planet, People, Prosperity. We are making our contribution to a healthy planet. Our restorative approach to the environment means delivering our services without compromising the water needed for healthy waterways. Natural resources are finite. To be sustainable in the long-term we must reduce our impact on the environment and work within the carrying capacity of nature. We are working to generate 100 per cent of our own energy by 2025. We support people by delivering safe and reliable water and sanitation. The public expects that we will provide safe drinking water, a reliable service and will be responsive when things go wrong. Our commitment in this area is watertight. We are committed to doubling our social value – increasing our contribution to public health and wellbeing – by 2020. We’re implementing programs across vulnerability and hardship, family violence, reconciliation with Aboriginal and Torres Strait Islander peoples and community health. We are supporting inclusive, sustainable growth and prosperity, within our organisation and in wider society. We maintain Australian benchmarks for high-performance organisations. We safeguard intergenerational equity by investing responsibly and planning adaptively for the future, ensuring that the communities we serve will never run out of water. We are committed to low prices – specifically, to a price freeze in 2017-18, followed by bill increases lower than the rate of inflation.